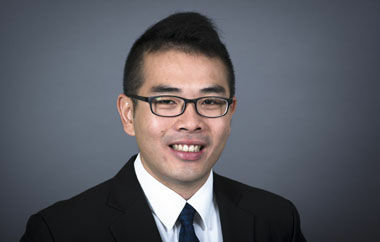 James Guo Sheng Moo is currently a PhD student at Nanyang Technological University, where he develops his research in the area of materials chemistry for sustainability science. Moo, who has been interested in materials chemistry from an early age, has decided to focus his work on creating new materials and understanding how they interact with their surroundings in order to make them most useful to society. He focuses on the development of self-propelled micro/nanosystems along with the extraction of useful macro-behaviour from nanotechnology. 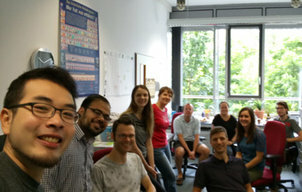 Moo is currently doing a PhD in materials chemistry at Nanyang Technological University in Singapore. He works in the area of environmental remediation and studies the use of novel methods for detection of heavy metals in water. He has successfully developed an artificial micro-fish that can detect the presence of lead and cadmium in water. For this groundbreaking innovation, he won the Falling Walls Lab Singapore 2016 and will be representing the university at the Falling Walls Lab Finale in Berlin. A different aspect of his research is the development of carbon nanomaterials for the removal of heavy metals from water. His work has been included in three different water forums: the Singapore International Water Week’s Young Water Leaders Summit, the Asia Pacific Youth Parliament for Water and the World Water Forum. He has also published 10 articles in the area of water monitoring and remediation. During his time as a PhD student, he has participated in a self-initiated project with a colleague at the Tokyo Institute of Technology, where they designed a concept engine aimed at reducing carbon dioxide emissions. That research proposal was submitted to multiple competitions, resulting in the Best Presentation Award at the First Business Plan Competition 2016 in Japan. 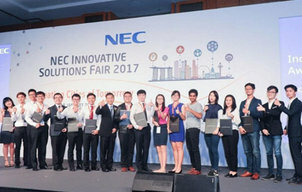 The team was also selected to participate in the Decarbonathon as part of the COP21 event in Paris and was one of the top 5 finalists at the BASF Asia Pacific PhD Challenge 2015 in China. The jury really valued Moo’s efforts to understand the links between science and human society. His work in developing ways to improve people’s lives and his willingness to train new generations will be an important contribution to the scientific community.